I have about 1,200 miles with this helmet and I have to say I am 110% happy that I decided to buy this helmet. The visor itself is marketed to never fog, and surprisingly its true, the outside visor never fogs. I have not rode in the rain but would be very surprised if it fogged up. The only thing is the internal flip-down visor does not have the no-fog coating so this will fog if it is down and you do not have any vents open. I plan on spraying some anti-fog goggle spray on the flip down and hopefully that will work. This brings me to the airflow and vents of the helmet. 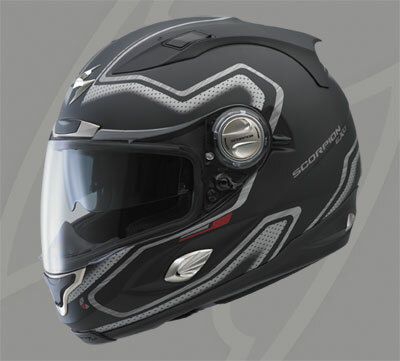 The vents in this helmet actually work, each serving a noticeable different purpose.The airflow is great in this helmet and the wind noise is very minimal. Additionally, I remember reading some reviews that the helmet was heavy. By no means is this helmet heavy. My neck has never felt "tired" from wearing this helmet so I am really unsure of why some people experience this. Also the internal air pump is great to give you just a little extra feeling of a custom fit. I do not use this feature all the time but its nice to know it is there. Also the chin skirt that comes on the helmet is great. It really does keep the wind from going up the chin. Its a great little feature. I ended up getting this model helmet for only $139.99, which is a complete steal. Many places sell this, even now, for over $250. If you keep your eye out though every once in a while there will be a sale for the apollo graphics. I was able to snag up a great price. Overall I am completely satisfied with my purchase and with over 1000 miles wearing the helmet I have no regrets.I would recommend this helmet to anyone. Awesome price you got. Have you tested the shield yet? I have the EXO-700 and I know on those (and am reasonably sure on all the EXO's) that you flex the shield over your leg, like trying to break a stick, and it will bend inside out and not break. I do it as a demo (have seen a video of it too) when I teach BRC's. I love Scorpion helmets. They Rock! just my inner visor randomly decides it doestn want to flip down all the way. and it rips my ears off, producing bruising each time i take it off, and way hard to keep an earbud in my ear. At $139 I'd be a customer but at normal retail ($308)I can have a low end Arai or many other reputable helmets, including Bell, AGV, Premier, Shoei etc. I'm a little late to the party here, but can anyone tell me about the EXO-1000's internal shape? I frequently get headaches from helmets pushing on my forehead, and an EXO-400 (for example) causes me instant pressure points on both my forehead and the back of my head, so it's obviously a much 'rounder' internal shape than what my head is. What do you owners think of the internal shape of the 1000? Round, slightly round, slightly narrow, narrow? Thanks. When I wear the helmet for more than 30 minutes my forehead is red when I take it off. It is not uncomfortable though by any means. For some reason it just leaves a red line on my forehead, which leads me to believe it is more of a round shape than oval. Thanks for the feedback! In that case I'm going to stick with trying to make the swap to an Arai for now.